The timing couldn’t have been worse. Last month, a matter of hours after an Uber self-driving car hit and killed a pedestrian in Arizona, the biggest trial of automated vehicle technology was launched on New South Wales roads. 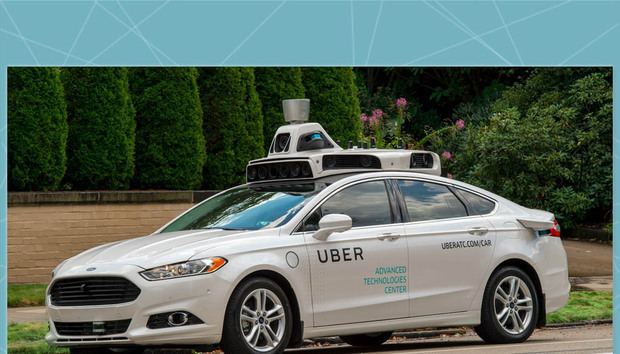 In the wake of the incident, in which 49-year-old Elaine Herzberg, who was walking her bike across the road at the time was fatally injured, Uber suspended its autonomous vehicle trials taking place in four US cities. As Tempe Police released shocking dashcam footage of the crash, other autonomous vehicle firms running trials on public roads followed suit. Toyota and self-driving startup nuTonomy temporarily halted testing, as did Nvidia. The six month trial in NSW – which involves toll road giant Transurban, Transport for NSW, and the state’s Roads and Maritime Services – proceeded as planned. On launch day NSW Roads Minister Melinda Pavey told 2GB radio: "We shouldn't be scared of the future". Others, however, are less at ease sharing Sydney’s roads with a fleet of Connected and Automated Vehicles (CAVs). Following the Uber tragedy, Transport Workers’ Union National Secretary Tony Sheldon called on governments in Australia to adopt “mandatory ethical rules” before the technology develops further. “There is a need to regulate this space early and decisively in Australia to ensure that we are not led down this dangerous and morally hazardous path. Humans must be in control of these critical decisions,” he said. How safe are the vehicles currently being trialled along the Lane Cove Tunnel, the Hills M2 Motorway, Westlink M7, the M5, Eastern Distributor, the Sydney Harbour Bridge and Sydney Harbour Tunnel? Could an autonomous vehicle death happen on Australian roads? Not all CAVs are the same. Their level of automation is classified on an internationally agreed scale, developed by the Society of Automotive Engineers, which runs from zero to five. Zero on the scale refers to No Automation, meaning the human driver performs all aspects of the driving even when it is with the assistance of warning systems. Level five is Full Automation, meaning the vehicle steers, accelerates and decelerates, while monitoring its environment, without any human intervention. “The vehicles being used for these trials are classified as level two partial automation and are already driven on Australian roads and comply with existing Australian Design Rules and road safety regulations,” Transurban told CIO Australia. Essentially, level two involves systems that can be switched on to assist the human driver in both steering and acceleration/deceleration using information they gather from their surroundings. These advanced driver assistance systems (ADAS) include features like automatic emergency braking and lane assist which can already be found in 24 million vehicles around the world. Some 150,000 of them are on NSW roads. In the Uber incident, according to Bloomberg, the standard collision-avoidance technology which comes as standard in the Volvo XC90 SUV being used, had been disabled. The US National Transportation Safety Board (NTSB) is still investigating. In the Sydney trials, the ADAS systems remain on. It is these systems – found in the road-ready vehicles from the eight manufacturers in the trial – and their response to urban and country roads in different conditions which are being tested. “Safety is our highest priority and these trials are focused on testing the connected and automated vehicle technology to ensure we understand how it responds to the current road infrastructure in NSW,” Transurban said. As the dashcam footage from the Uber incident shows, only one test driver was in the vehicle at the time of the crash. They appear not to be watching the road at the time of the collision. Making sure drivers are paying full attention to the road and are prepared to take control at any time, even when most of the time they don’t need to, is a significant dilemma for autonomous vehicles makers. Constant hyper vigilance even though action is rarely required is a difficult state for everyday drivers to maintain. In many cases – like Tesla and its Autopilot feature – users are simply advised to keep their hands on the wheel “just in case”. Many Tesla drivers decide otherwise. This year’s Audi A8, which the company says is the world’s first Level 3 autonomous vehicle films the driver to make sure they are awake, and if not beeps and tugs on the seat belt. In the NSW tests, Transurban says, “professional drivers will have at least one hand on the wheel at all times and will closely monitor the vehicles operation” in keeping with NSW law. There is also more than one test driver in the car – usually four – on every trial run. The drivers come from Driving Solutions, a Sydney-based company which provides advanced driver training as well as drivers for events and movies. “There’s a driver, designated as the driver, there’s a spotter in front seat to see anything that they miss because they’re concentrating on driving. There’s also a person documenting things in the back seat and another person using iPads in the back seat to track everything,” James Stewart, director of Driving Solutions based at Sydney Motorsport Park, told CIO Australia. Transurban added that it had also developed a ‘Safety Management Plan’ that identifies and mitigates potential risks. The trials also comply with the Austroads / National Transport Commission’s guidelines for Trials of Automated Vehicles in Australia, the company said. Australian trials of automated vehicles are at an early stage. At present, at least on public roads, only low level ASAD features are being trialed, features that are already found in many vehicles. But it won’t be long until vehicles with greater levels of autonomy are on the streets. The same week as the NSW trials began, motoring and insurance company RAC launched an ‘on-demand driverless’ vehicle trial in Perth. Initially the driverless Autonom vehicle, produced by French company Navya, will be tested off road, and later within a limited precinct. Stage three will see them on public roads in south Perth. “The industry view is that we’re most likely talking years, rather than decades, before driverless vehicle technology is widespread,” said RAC executive general manager advocacy and members, Pat Walker. State governments in SA, NSW, WA and Victoria have been keen to facilitate such trials, and have changed road laws to accommodate them. It is important regulators properly scrutinise which companies are allowed to conduct such trials, says Associate Professor Hussein Dia from the Smart Cities Research Institute at Swinburne University of Technology. “There will be questions raised about whether the autonomous vehicles should be tested on open roads. More importantly, the key question that regulators should be addressing is which companies should be allowed to test them in real-world environments,” he said. “Not all self-driving software is at the same stage of development and readiness. There needs to be more scrutiny of the underlying AI systems before the autonomous vehicles are allowed on open roads,” Dia added.